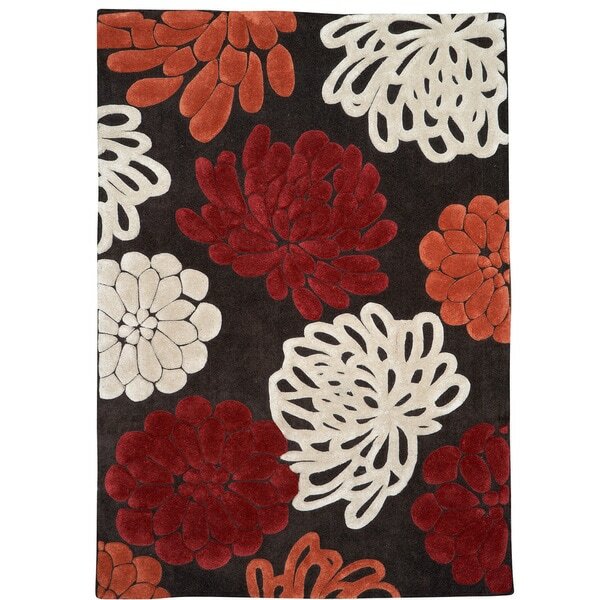 Hand Tufted Trio Collection Bloom Sketch Chocolate & Pumpkin Rug (1'10" X 2'10") - 1'10" X 2'10"
The Trio Collection offers style and colors that anyone is sure to love with designs ranging from transitional to contemporary and the colors that are the hottest on the market today. These rugs feature a mix of design and color that are sure to breath life into any room in your home. The TAD10 features a bright bold floral design that pops with burgundy, ivory and bright oranges on a dark chocolate background. This rug is a 1'10" x 2'10".